Moment- and memory-based leisure experiences appear to differ. Furthermore, prior research indicates that retrospective affective reports do not converge with their immediate counterparts, with the latter assumed to be more accurate. The experience sampling method (ESM) allows researchers to capture immediate experiences; however, it is more resource intensive than a retrospective cross-sectional survey. 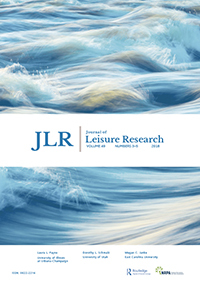 Therefore, the purpose of this research note is to examine whether immediate affective reports significantly differ from retrospective affective reports in leisure contexts over a 3-week period. Forty-one Japanese undergraduate students participated in our 4-weekend ESM study, and their immediate affective reports in leisure contexts and corresponding retrospective reports were compared. Results of dependent t-tests indicated that participants’ retrospective reports did not differ from the immediate reports. This suggests that retrospective measures of emotions within a certain leisure context might be as reliable as ESM-based immediate measures.